"What?" you say. She's including a medical research facility as a highlight of San Diego? You bet I am. Take a look for yourself. 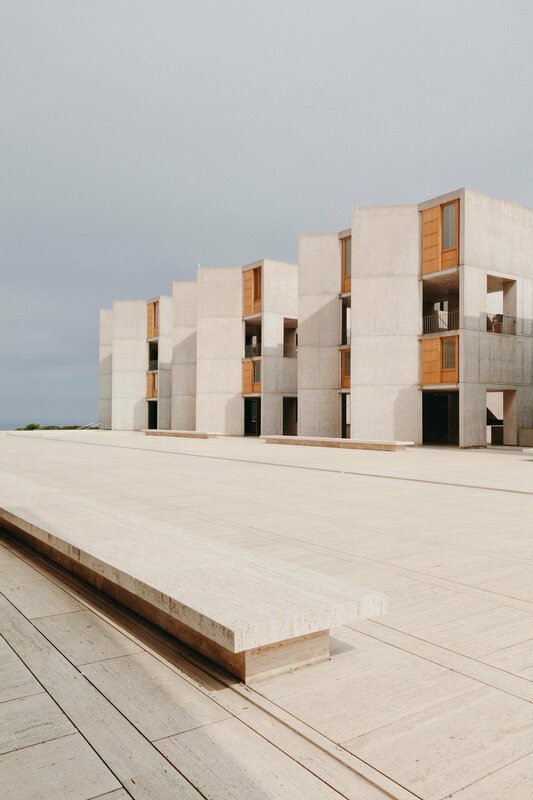 Dr. Jonas Salk (of polio vaccination fame) asked his architect, Louis I. Kahn, to create an open, adaptable space to house the Institute's laboratories. 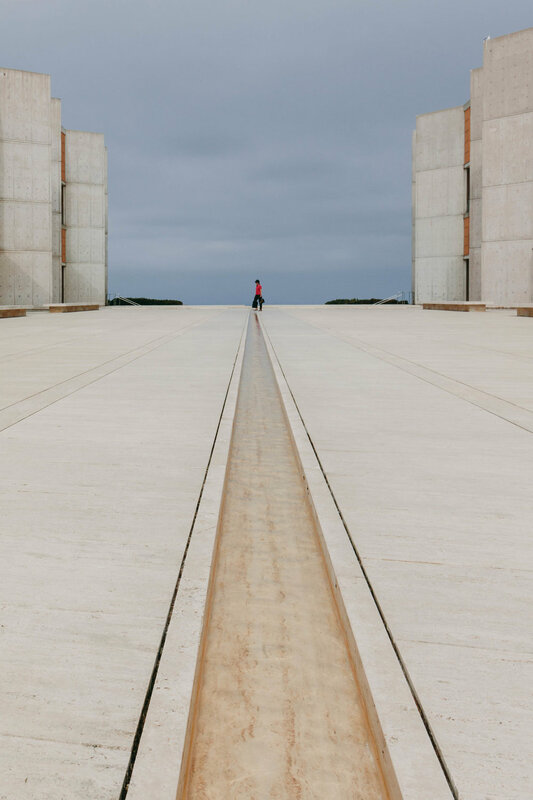 The travertine courtyard is the showcase piece, with views looking out over the Pacific Ocean. 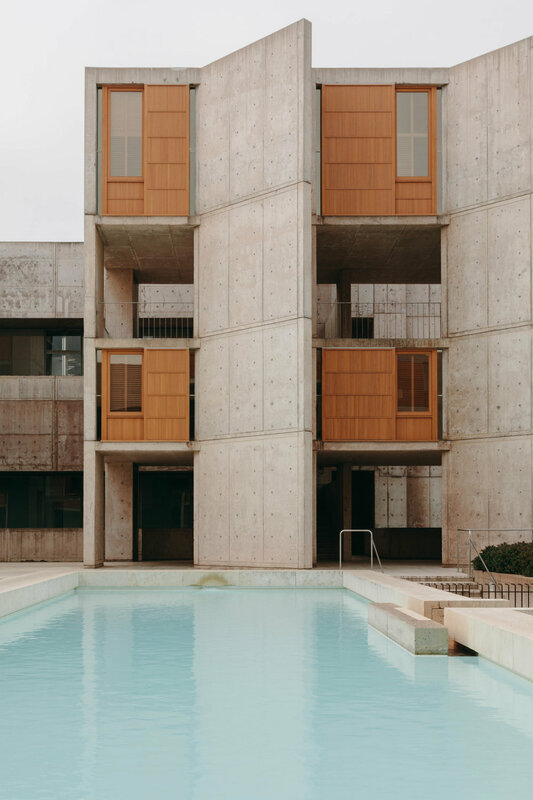 Now you know that I'm a huge lover of design, and after one visit to the Salk Institute, I can safely say that this is my favorite structure to photograph in San Diego. The use of space and materials is simple but genius, and it complements the surrounding landscape in such a lovely way. 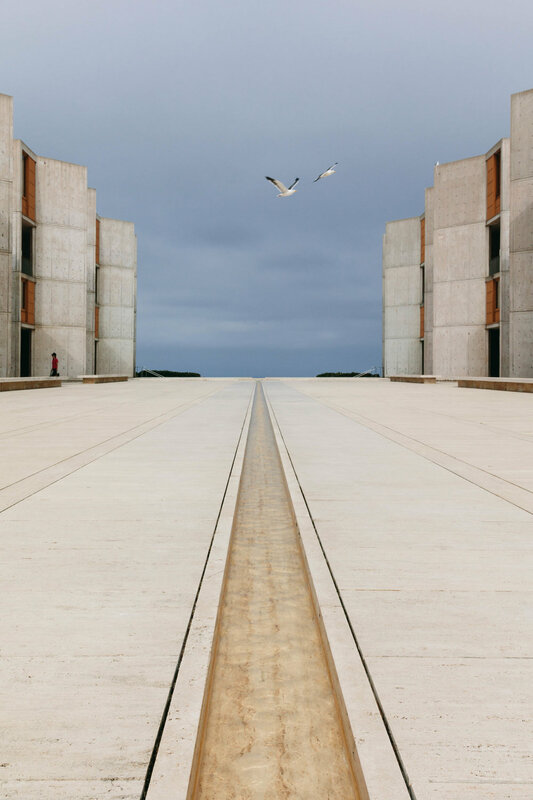 The stream of water running the length of the courtyard to the reflecting pool - with the Pacific Ocean just beyond - is the perfect nod to the Institute's location. 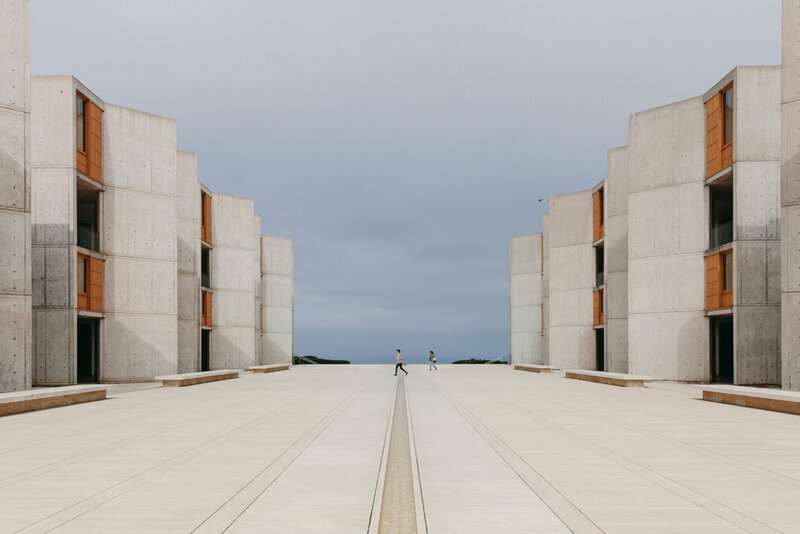 The reflecting pool at the end of the courtyard, over looking the cliffs of La Jolla.